Seagulls are probably on the second rung from the bottom as far as ornithological wildlife photography goes, with the most base subject being pigeons. But hey, you’ve got to start somewhere, and since seagulls are ubiquitous in coastal areas it seemed like a natural first step. 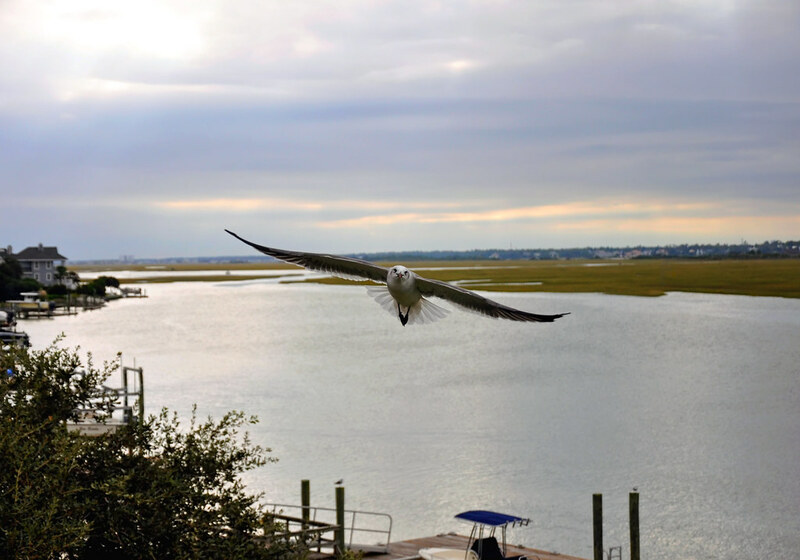 This was taken on one of the barrier islands off of Wilmington, North Carolina. The island and its marshes are teeming with birds, and I’m planning to rent a more powerful lens next time I’m down there to get some detailed pics of the sandpipers, egrets, and pelicans for use later this year. And don’t worry, I’ve got some pigeon photos as well.